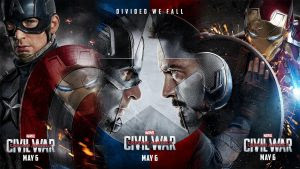 William and Stuart (GeeksFTW.com) join the Facetious crew (Mike & Larry) to critique Captain America Civil War. Enjoy the Spoiler filled roundtable discussion. Timelines have a standard deviation of approximately one minute.